​​​​​​​Low sheen and washable, Resene Picton Blue and Resene Scoria, both in Resene Lumbersider, bring separation and connection on this project. 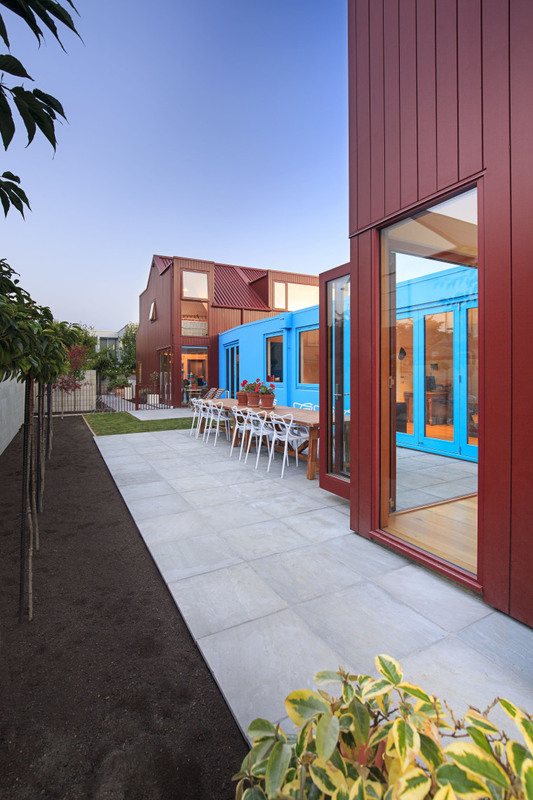 Architectural form and exterior colours both played a role in this home’s design. The new house – designed by architect Annabel Cropper of Nott Architects – is comprised of two gabled-roof cottages linked by a shared living and office space. The stand-out architecture is further highlighted by dramatic cladding colours. 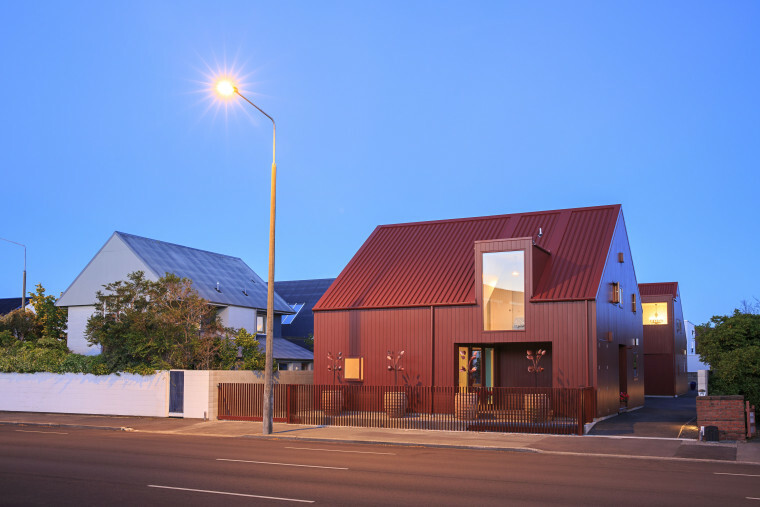 ​​​​​​​Two cottage-shaped buildings are finished in Resene Scoria to form part of this multi-element home. This same tone already existed in the historic cottages in the area, so the choice of colour is also a nod to these houses. The other main cladding colour used was Resene Picton Blue, which was chosen to distinguish the flat roofed, central form as a more abstract, contemporary element. The paints are in Resene Lumbersider based on a tough 100% acrylic resin that maximises durability in exposed settings.